Fashion has never been more fashionable than it is today, but for a century the arrival of the new edition of British Vogue as it hit the newsstands has been eagerly awaited: a trustworthy barometer of style and culture and mirror of society: ‘reporting on fashion, beauty, people, plays, decoration, manners and attitudes’, as one of its former editors, Beatrix Miller wrote in 1976. Miller acknowledged that British Vogue’s mirror reflected only a limited section of society, but, like the modern world itself, the magazine has had to move with the changing times and embrace new technology: that it maintains its image of exclusivity and its position as the ultimate arbiter of taste in an overcrowded media market, is testament to its drive and adaptability. British Vogue was launched in the middle of the First World War, a traumatic event that temporarily halted the struggle for female enfranchisement. Afterwards, in 1918, in recognition of their contribution to the war effort women over thirty were given the vote. 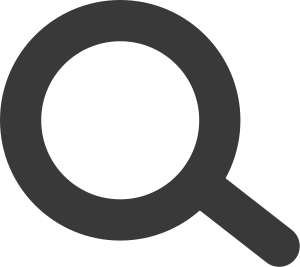 Since then British Vogue has witnessed some of the most significant changes in women’s lives and society’s as a whole, reflecting them through its documentation of fashion and the appearance of women. 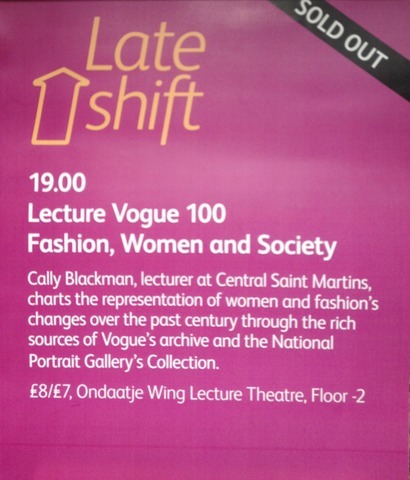 In this talk, that takes place near International Women’s Day, Cally Blackman, lecturer at Central Saint Martins and author of several books on fashion, will explore the rich sources of Vogue’s archive and the National Portrait Gallery’s collection in order to chart fashion and the representation of women in society during the last one hundred years.